Walking down Eighth Avenue in Sunset Park on any day can feel like stepping into another world. Just a few blocks away, on the other side of the neighborhood, you will find heaps of Latin American food and shops, but Eighth Avenue is home to dumpling houses, hand pulled noodle shops, and street carts serving up chow mein and yakitori. 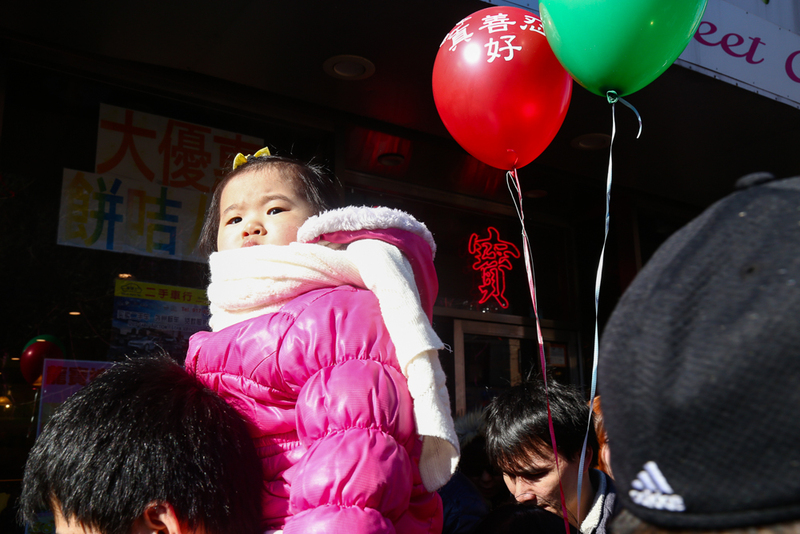 This past Sunday, the 18th of February, a parade rang through Eighth Avenue, celebrating this coming year of the dog. Even after the parade ended, the street was sparkling with streamers, screaming with the sounds of poppers, and for every other adult, there was a kid chasing someone with exploding cans of silly string. I've been picking confetti out of my clothes for days now.